Based on statistical evidence, only 76.20% of Florida drivers are insured. That means in any car accident, you have about a 25% chance of the other driver being uninsured. If the other driver is uninsured, you will have to rely on your own insurance. Given those odds, that is why our car accident lawyers in Miami recommend clients to purchase uninsured or underinsured motorist coverage. Uninsured motorist coverage can help protect you in the event that you are seriously injured and suffer damages because of the negligence of an uninsured driver. You are basically protecting yourself from the 25% of drivers who are uninsured in Florida. The problem is that uninsured motorist insurance is not required by law and it is not cheap. People have to make decisions based on a variety of factors such as risk acceptance, financial ability and budgetary concerns. 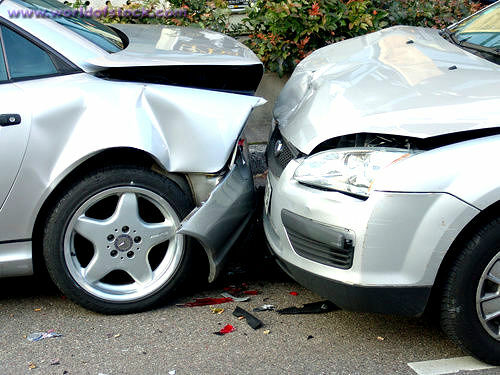 When it comes time to either purchase car insurance or renew your policy, you should take advantage of the free consultations that are provided by the Miami car accident attorneys at the Wolfson Law Firm. Call them at (305) 285-1115 if you have any questions about what type of automobile insurance coverage you should consider. Florida wins again! Well, it wins the category for Google searches for speeding tickets and traffic tickets. So, what does that mean? Greater enforcement by law enforcement? Florida drivers are just bad drivers? Probably a bit of both to be honest. Let’s first consider law enforcement. Recently the second-highest ranked official with the Florida Highway Patrol (FHP) resigned due to an alleged quota for Troopers to write tickets. In fact, Lt. Col. Michael Thomas, who is the official who resigned, sent an email in May 2017 encouraging Troopers to write two tickets per hour. That violates a longstanding public policy against “quotas”. In spite of that controversy, the statistics reflect that FHP has issued less tickets in the past few years – from 935,000 in 2014 to 749,000 in 2016. Second, we consider Florida drivers. That category includes not only the folks who live and work here but also those who visit from other states and countries. Everyone who drives in Florida brings their own unique driving habits from home. This can often lead to misunderstandings and ultimately motor vehicle accidents – sometimes with serious injuries and fatalities. If you or a loved one is injured by a Florida driver or if you have any questions about insurance coverage, feel free to give our personal injury lawyers in Miami a call at (305) 285-1115. All consultations are free and confidential. Stay safe out there!